Record video clips of karaoke performances. 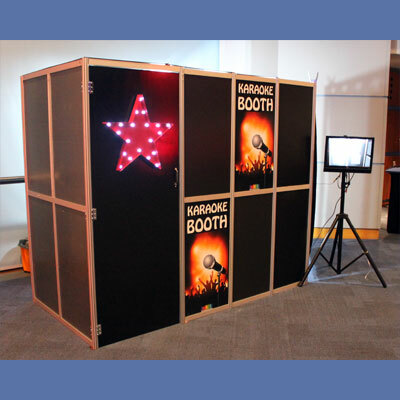 The karaoke booth includes everything you need to begin offering a karaoke service, but with the added benefit of video recording their performance. The physical booth structure is made from 28 individual extruded aluminium components, with black foamex panels around all the walls of the booth and roof. The booth is partially sound proofed. The whole booth can be setup by 1 person in an hour and easily fits in a hatchback type car or van. Easily fitting into any venue through standard door opening. The supplied electronics are all pre configured and ready to be used. 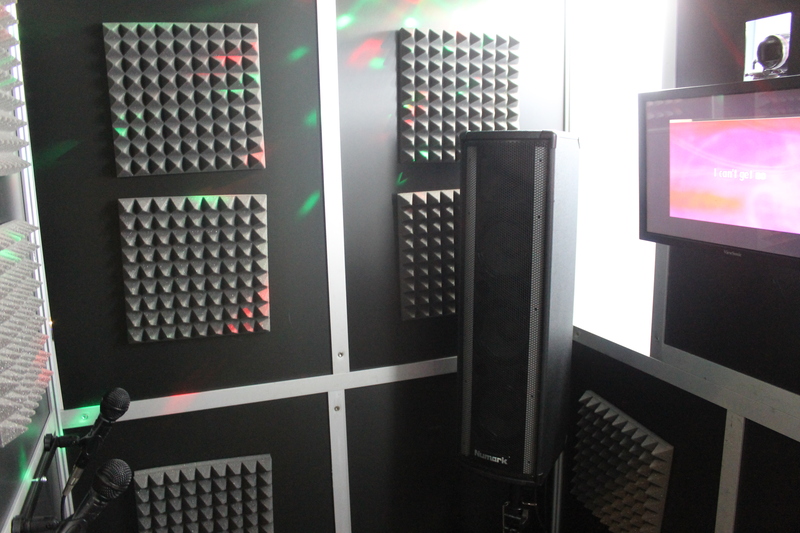 A selection of karaoke tracks is supplied, with the installed software allowing you to create your own tracks. Full instruction manual included. 2 x Microphones and mic mount. Selection of 20 chart karaoke hits. Active Speaker system with integrated LED lighting. 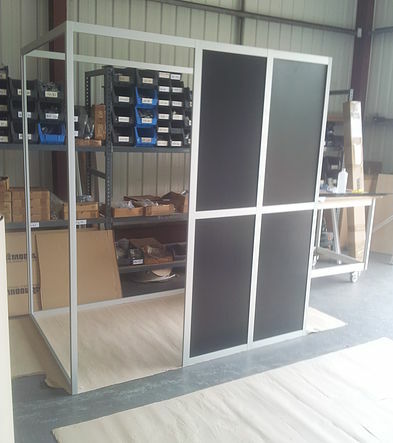 The physical booth structure and components are carried in stages to the place of hire. One person can do this, but you would find a 2nd person helpful. The physical booth is then assembled. All sections slot together and are fixed by using the supplied allen key. The front and end walls fitted with the foamex panels. The internal equipment is setup and powered up. From the inside of the booth the customer sees the karaoke lyrics of their chosen track. 2 microphones are available for guests to use. The customer request their choice of song from the operator and then start their performance. During this time their performance is being recorded to video. By simply adding a selection of funny props this will enhance the guests experience. LED lighting also enhances the experience. All the recordings are stored on the cameras internal memory card and can be converted to a DVD and sent to your client after the event. The laptop comes pre installed with karaoke software. A selection of 20 current chart favourites are included to get you started, however 1000’s more titles are available to purchase.